The 2017 M2 driver brings golfers a new level of distance and forgiveness through all-new GeocousticTM technology. Following in the footsteps of its predecessor, the M2 driver successfully raises the bar in design and engineering through reinvented multi-material construction and advanced geometric shaping. Along with the new Geocoustic design, the M2 driver houses a new Speed Pocket that is three times more flexible than it was in the original M2. Combined, the new M2 takes the #1 selling driver to the next level of performance for all players. The new lower density 9-1-1 Titanium body, 6-layer carbon composite crown and minimal sound ribs allowed for 25g of discretionary mass to be relocated low and back in the sole of the club. 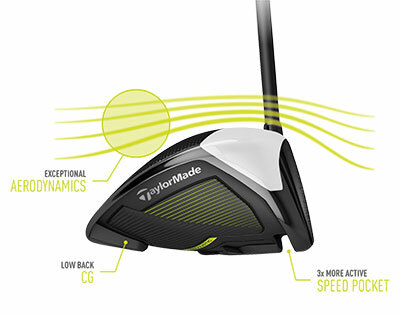 Together, these applications combine to increase the overall inertia of the M2 driver without sacrificing low CG, hot trajectory, or aerodynamic performance. The M2 is equipped with a new 4° aluminum Loft Sleeve featuring 12 easily adjustable settings. M2 also comes stock with a Fujikura Pro XLR8 56 (high launch), available in A, R, S and X flexes along with a new dual-texture 360 performance grip for great feel throughout the swing. More distance and solid hits straight too! I purchased this driver in hope of added distance while replacing my old Big Bertha 460. Disappointed as my drive is shorter with this club. My emails to Rock Bottom go answered in hopes of replacing this club with a better driver. Also the women's shaft is too flexible. Enjoy the small but added distance over my r15. Unbelievably light weight, increased my percentage of fairways slightly! Excellent service and delivery. Several of my golf buddies are loving this club. Not me my AEROBURNER is straighter and longer. Hit a used demo of this club earlier at the range. Club feels easier to swing/control than many of the other newer drivers I've hit. Definitely had some distance. Good feel. I love hitting this driver. 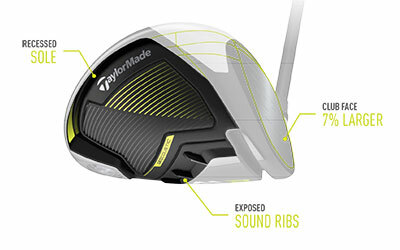 It is a phenomenal driver. Would have liked more distance. But visually fantastic with the two tone crown and sounds great. So far have only used this club on the driving range but feels really great and can't wait to get on the course with it.